Teeranun Srihong, Chairman of Digital Economy Promotion Agency Commission of Thailand together with Nestor Tan, Chairman of Philippines Banking Association and President of BDO Unibank, Nadiem Makarim, Chief Executive Officer & Founder of Go-Jek and Alex Kong, Founder and Chairman of TNG FinTech Group have gathered at the Singapore Fintech Festival Conference and discussed on how can ASEAN use technology to foster greater integration. Nonetheless, there is a growing area of cross-border integration driven by FinTech companies, and that is in relation to payments solutions such as e-wallets. These solutions address the existing intentions and needs for cross-border transactions. In terms of integrating people into the banking system, there is a huge opportunity in emerging ASEAN markets that have large un-banked and under-banked populations. Technology is a tool for tapping into this opportunity and banks need to recognise that instead of viewing FinTech companies as competition, they should collaborate with these companies so as to complement banking services and increase financial inclusion. 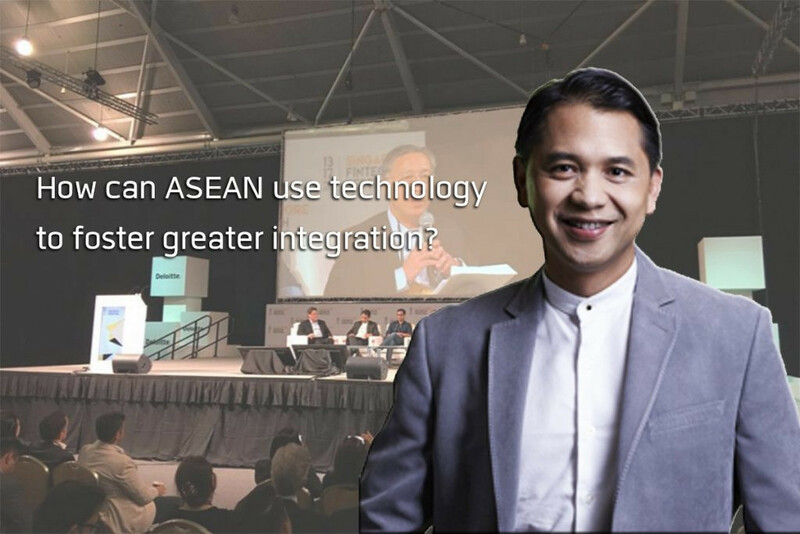 Against the backdrop of the 2025 harmonised ASEAN milestone, Teeranun Srihong believed that a level of standardisation is required to advance technology integration between ASEAN jurisdictions. However, other speakers opined that unification and standardisation of regulations is likely to impede integration as the industry is incapable of agreeing on a single set of standards. Rather, a possible greater challenge can be seen in achieving convergence in the legal framework surrounding transactions across jurisdictions. Addressing cyber security, they saw a need for local governments to enhance their current approach by possibly empowering cyber security companies to protect government data or by investing in foreign expertise to educate the local ecosystem. They also proposed for inter-government collaboration to counter cross-border cyber security threats. There is also a need to adjust mindsets to prioritise achieving resilience in the cyber security process rather than prevention. On the topic of competition, they all agreed that competition is expected and they also see benefits arising from competition including driving companies to create more relevant services for the consumer.